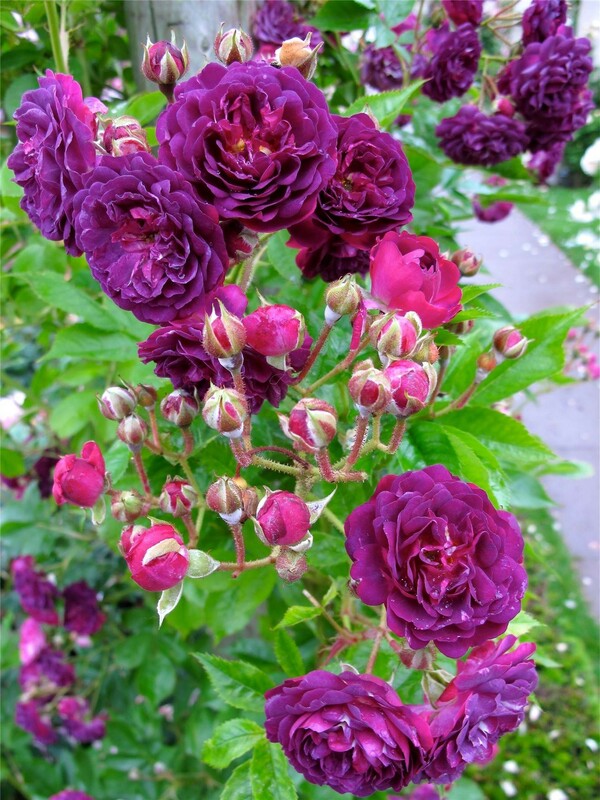 An RHS Award Winning climber, Rose 'Bleu Magenta' has proven itself over time to be a real asset in the garden and perfect for training against a wall for example. 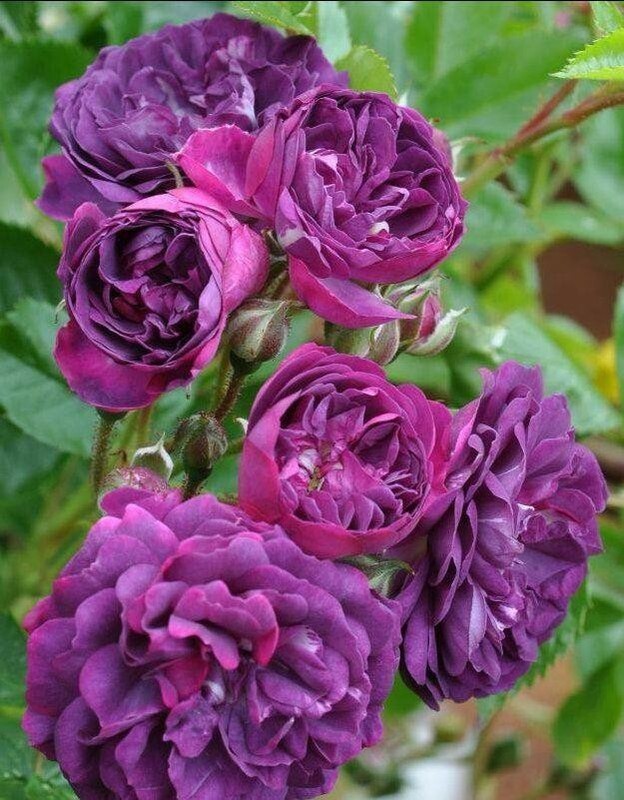 Fantastic deep blue-mauve double flowers are produced prolifically throughout the summer on the large, vigorous and quick to establish plants. The good thing about Blue Magenta is that it is almost painless to keep in shape as the the strong strems are virtually thornless. After the profusion of flowers in your garden all summer, Blue Magenta is a Rose variety that can be further enjoyed as it then goes on to produce a good crop bright red hips - perfect for adding a touch of colour through the autumn months and in to the winter. These are also attractive to wildlife and provide a useful resource for garden birds as the weather cools. 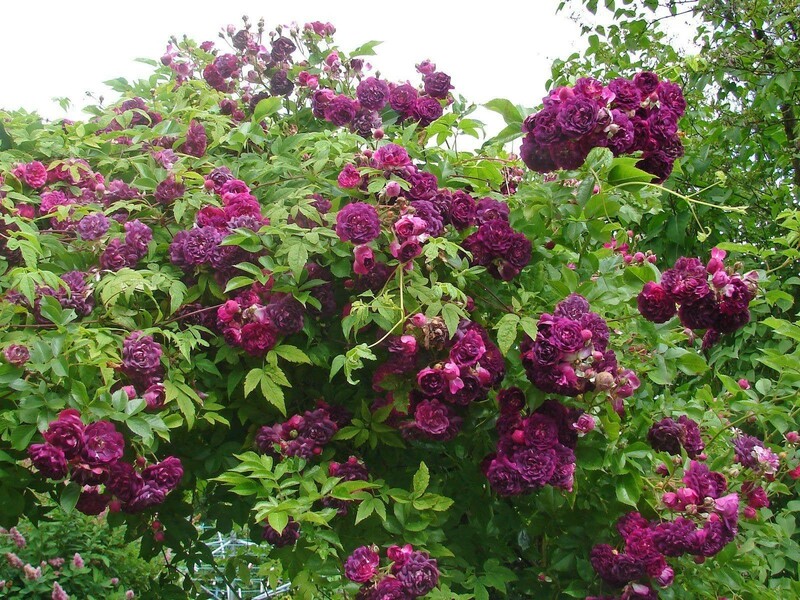 Rose Bleu Magenta is classified as a climbing multiflora rose, which simply means many flowers, all have a delicate fragrance.